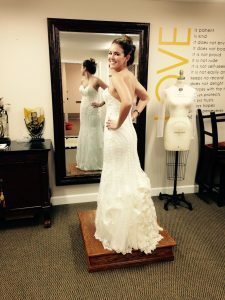 The bodice and bust areas are the most noticed and most photographed area of a wedding gown, because it is the area closest to your face, thus it deserves the most attention. 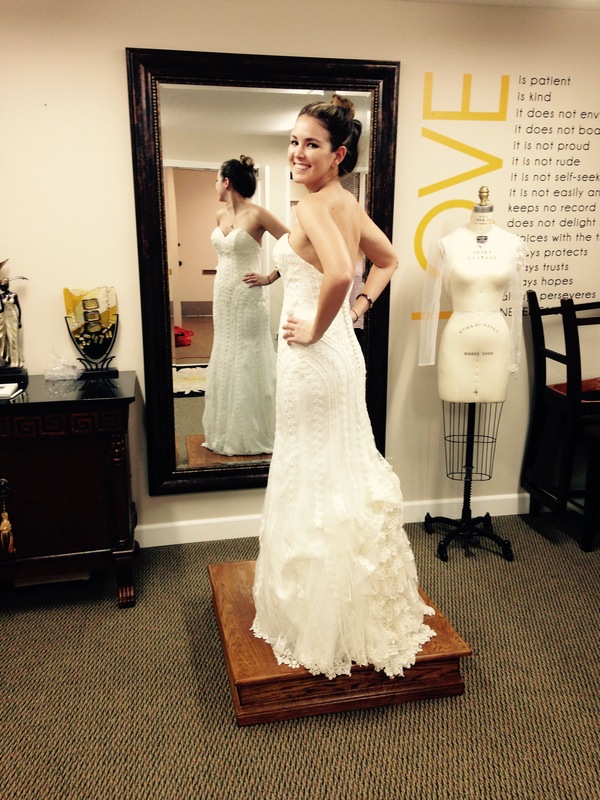 It is also the most challenging part of a wedding gown to alter. 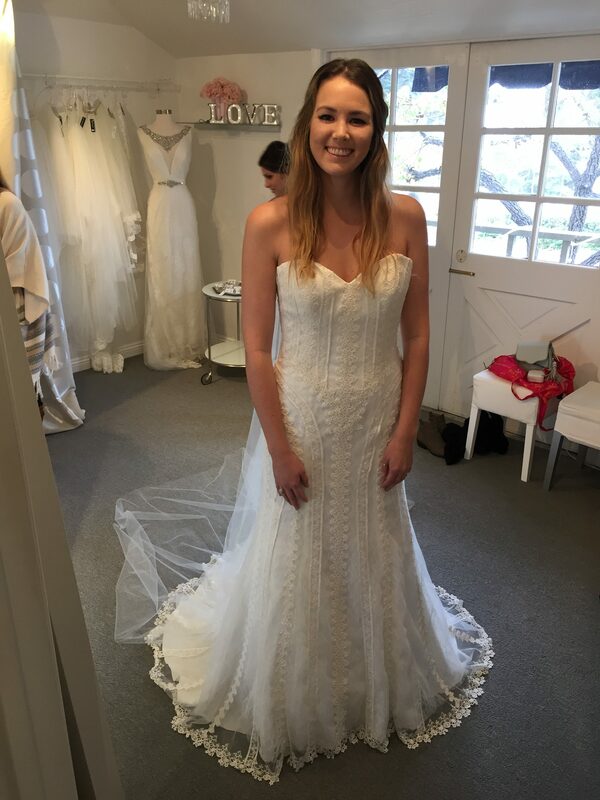 If you don’t believe me consider how many brides you have seen where the dress is either too tight across the chest, or too loose. 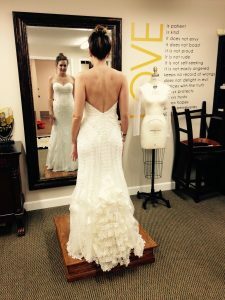 A good, highly skilled tailor knows there’s more involved than just taking in the side seams, or taking in the back of the dress to make a wedding gown fit the bust properly. 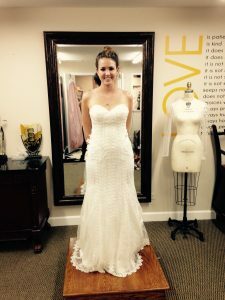 In the ‘before’ picture our bride is trying on her gown. 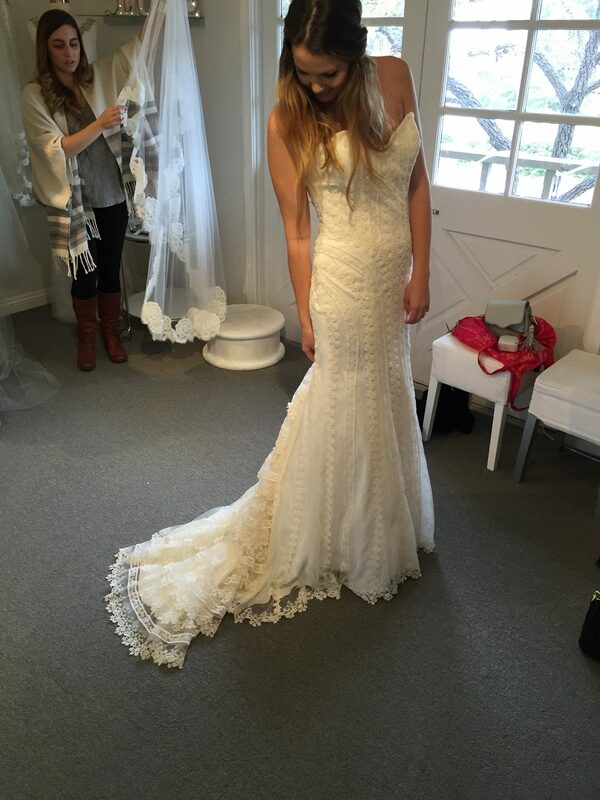 Obviously, the dress is too big for her, despite the boutique having submitted her measurements to the manufacturer. Why this occurred is the subject of an in depth post at a later date. Suffice it to say that having a dress too large is always better than one that is too small. This dress would end up needing a lot more than taking in the side seams to make the dress fit her bust well. 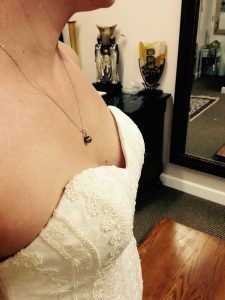 Taking in the side seams basically reduces the overall circumference of the gown, but doesn’t address the curvature of the bust. In this case, the gown doesn’t curve around her bust and fails to narrow at her waist, giving the false impression that she has a small bust and large waist. The seam that travels vertically over the bust, along the waist, and down to the hem is called a princess seam. Most tailors won’t consider altering this seam, but 9 times out of 10, I find it is the very alteration required to make the dress look the way the bride wants it to look on her. You may not know the terminology or the procedure, but all brides certainly know they want the dress to fit their chest and emphasize their waist. 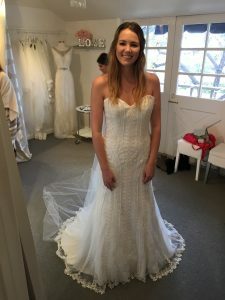 Removing the boning and the cups inside the gown allows me to access the seam and take it in over the bust so no one can see down the dress, while at the same time taking in the area under the bust so the dress fits snugly against the rib cage and waist. A perfectly fitted dress will define all your curves to their best advantage as seen from 360 degrees. This is not a lofty expectation. It’s a fair and realistic one, and if your tailor can’t meet or exceed your expectations, you owe it to yourself to find someone who can.